On 16th May 2017 former World #3 and Wimbledon Semi-Finalist Tim Henman officially opened our indoor tennis facility ‘ The Glassbrook Tennis Dome’. 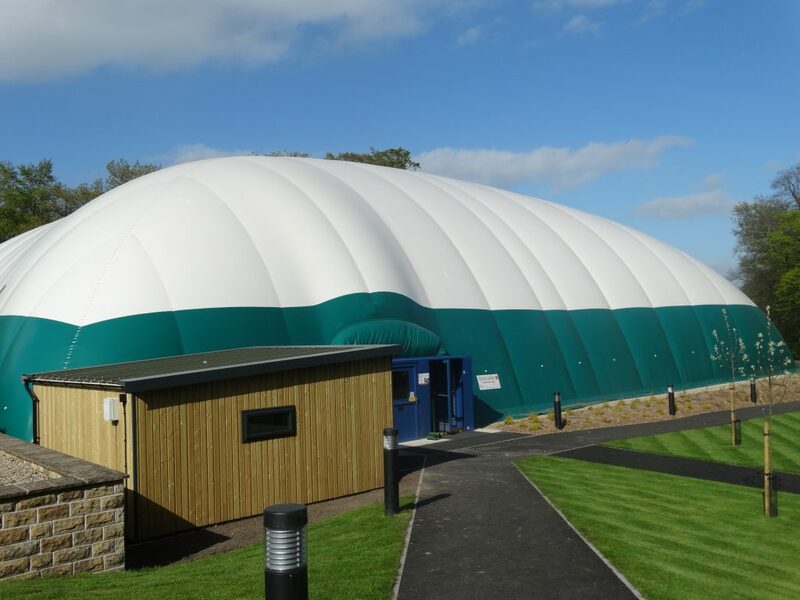 Brought about by a significant donation from Stonyhurst parents Simon and Carolyn Glassbrook, the dome allows year round top class tennis provisions for student at St. Mary’s Hall and the College as well as the local community. 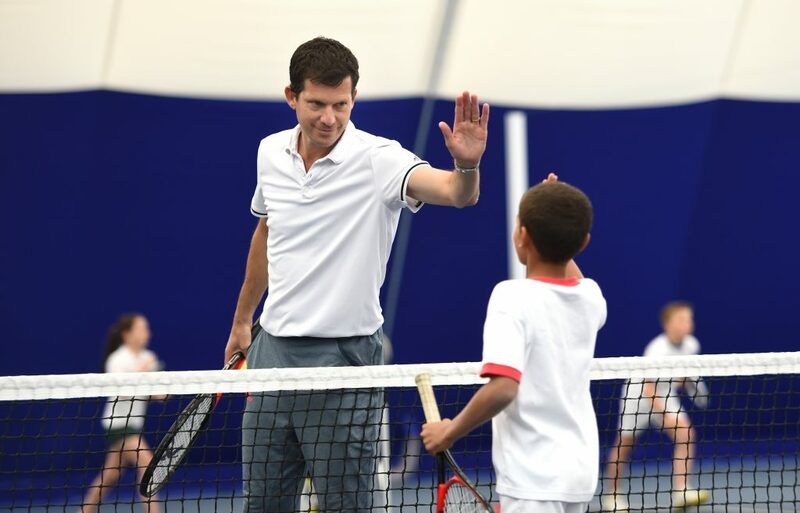 The dome was officially opened by Tim Henman, the four-times Wimbledon semi-finalist between 1998 and 2002, who was on-hand to meet with pupils via an interactive coaching session in the air dome. The opening was followed by a traditional Stonyhurst blessing and afternoon tea for guests. Tennis balls were autographed by him as a memento of the opening. The investment in the sport is part of Stonyhurst’s vision to take its renowned Tennis Programme to a new level and achieve LTA Clubmark Plus Accreditation. The new 10-metre high, 1375m2 ‘Glassbrook Dome’ dome was manufactured in Italy and supplied by Bridome Ltd. It provides two Grand Slam size tennis courts and was designed to the same specification as other prestigious world class facilities with the courts, which were constructed by Doe Sport Ltd, Scotland, matching those used for the renowned indoor Davis Cup tournaments. Taking nine months to build, the dome is energy efficient and features a double-skin construction using inflated heated air to ensure 365-day use. It also offers high-performing acoustics and glare-free playing conditions.